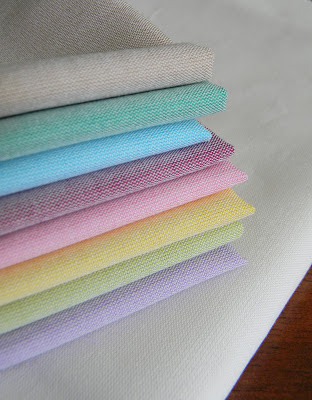 Congratulations, comment #16, Katie B., you are the winner of the Oakshott cottons. Email me your address, and I will put these in the mail to you. 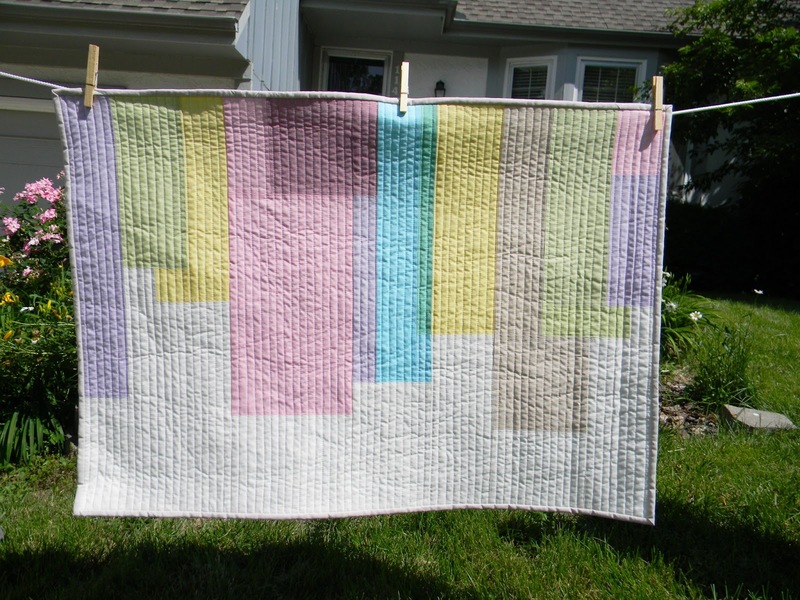 This wall hanging is my second pattern for Oakshott fabrics, using the Impressions fat eighth bundle. 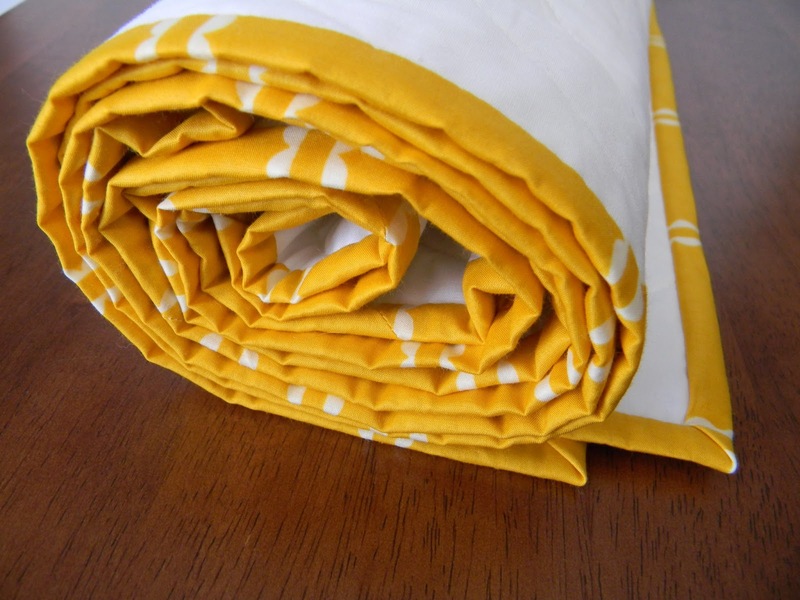 (You can find the first pattern, Spring Quarter, here.) 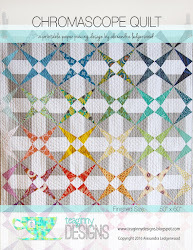 Marmalade Fabrics has just a couple of Impressions bundles left in stock. 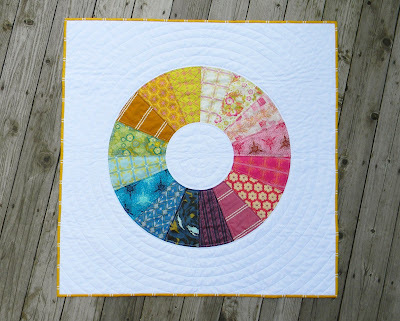 Choose you favorite eight colors from the bundle to create the quilt. 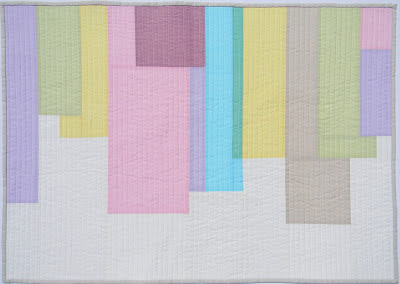 This 36 x 25 quilt was inspired by sheets hanging out to dry - the way the light shining through changes the colors as the sheets overlap, the layers and shapes that appear when some sheets are in front of others hanging behind them. The layers and depth in the quilt are easy to create with the lovely shimmer of Oakshott shot cottons and my detailed pattern with digital illustrations. 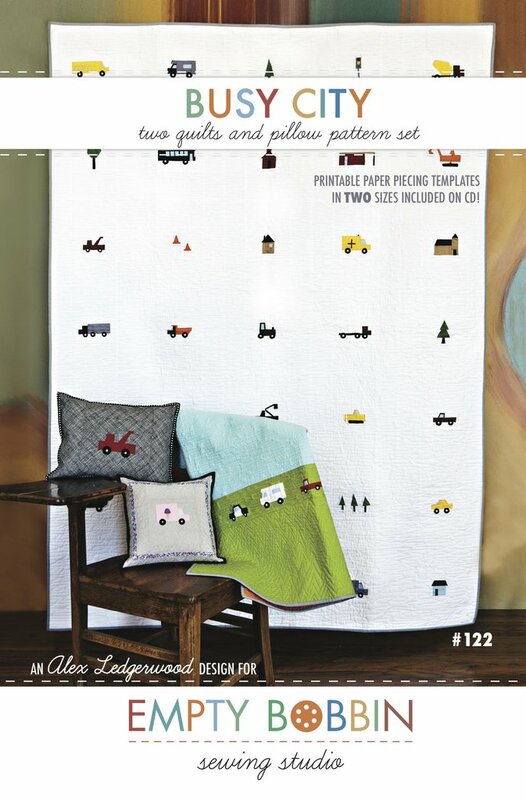 I'm pleased to make it a free downloadable PDF. You can find the free pattern here. 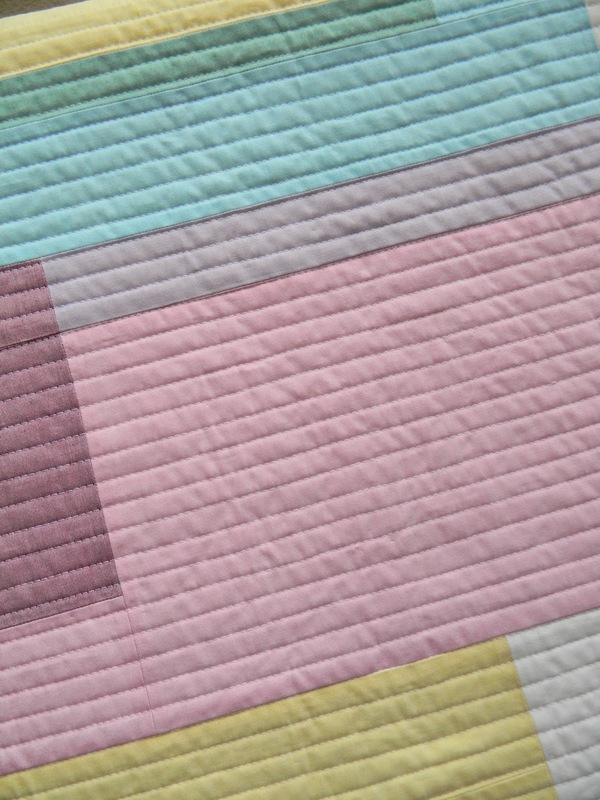 The pattern is written so that you may choose your own colors and fabrics for each section of the quilt. Play around with colors to create transparency by changing colors where the shapes overlap, as I did with the blue and yellow rectangles. 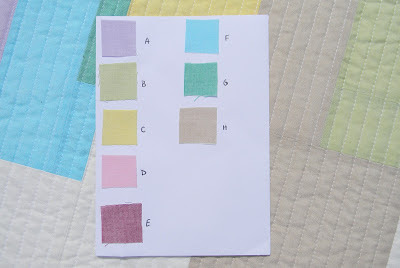 For those who might want to recreate the quilt as shown, here is a color guide. 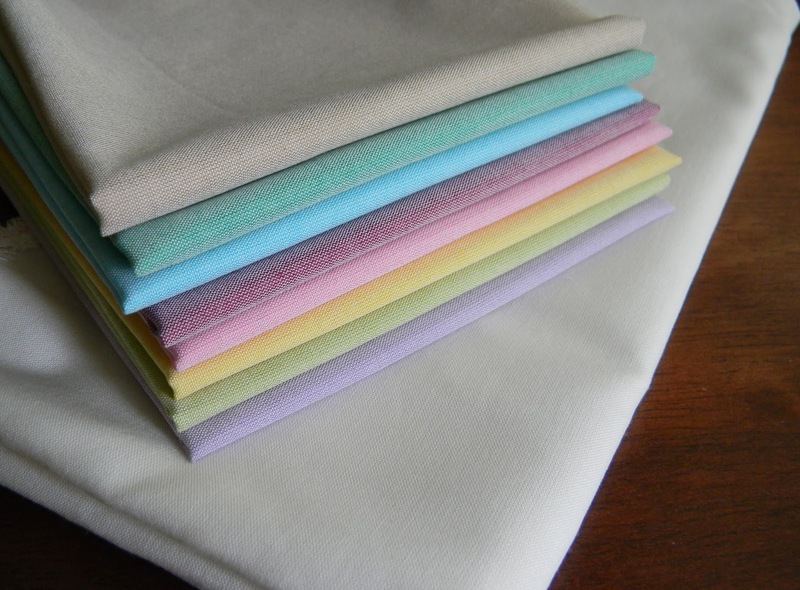 And for those still reading, leave a comment for a chance to win this fabric stack which includes all the fabrics required to make your own On the Line quilt top. I will choose a winner randomly on Friday. Giveaway now closed. I am very excited to become an aunt for the second time soon. My niece should arrive next month. 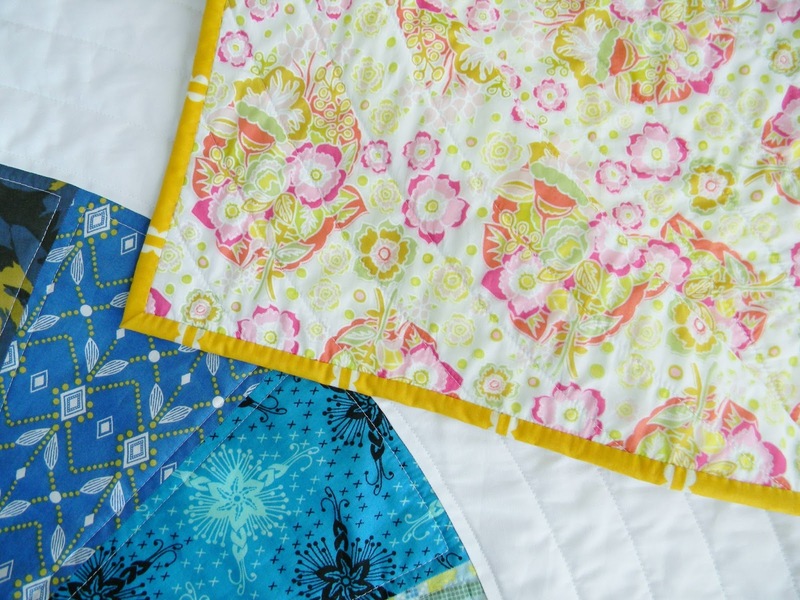 An added bonus: I get to sew for a girl! My brother requested I keep the pink to a minimum, so I decided to create a color wheel. It's not too pink, right? I used my 22.5 degree wedge ruler and a self drafted template to piece the curves in quarters. 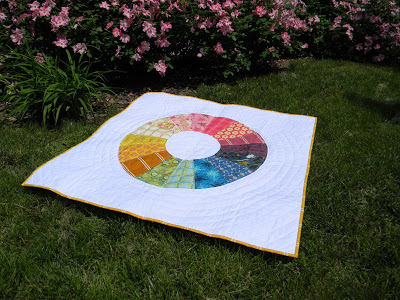 There are just sixteen wedges in this 40 x 40 quilt, as opposed to the 52 in the gorgeous color wheel quilt from, Last Minute Patchwork and Quilted Gifts, making this a pretty quick baby quilt. 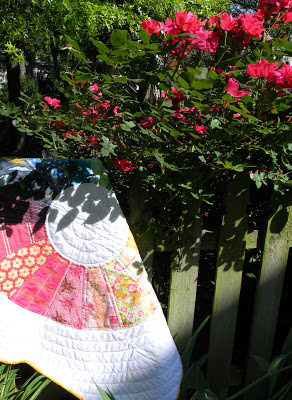 The fabrics are all voile by Anna Maria Horner. I got a quick start on the project with a fat eighth rainbow bundle of voile from Westwood Acres. Since there is no white voile, to my knowledge, I searched for a solid of a similar weight. I'm so pleased I found Art Gallery Pure Elements in Snow at my friend Elizabeth's new Etsy shop, Cucire. 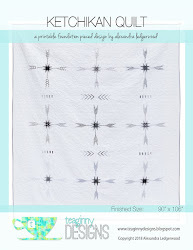 This solid has a smooth, silky hand, making it a nice match for the voile. 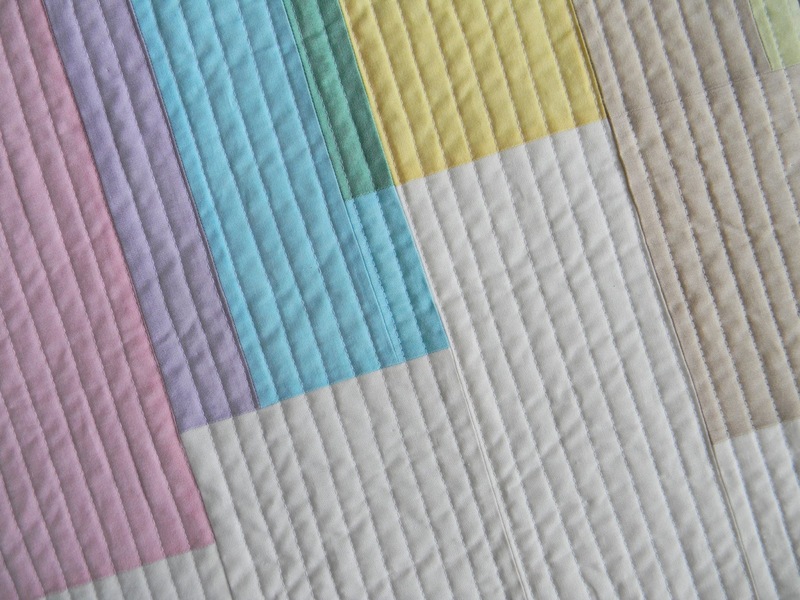 I kept the quilting light, and backed and bound it with more voile. 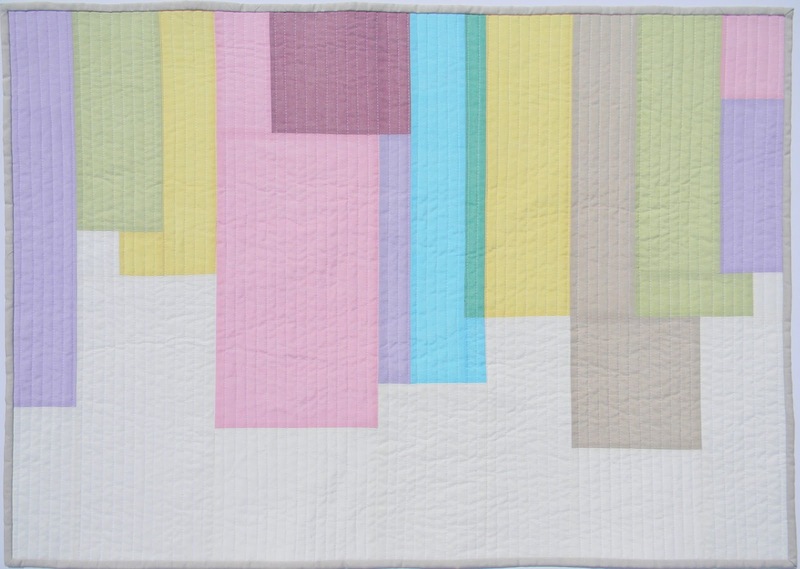 This quilt is so soft and lightweight - perfect for a summer baby.